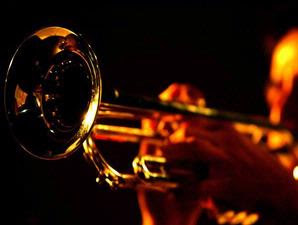 MAKASSAR-INDONESIA, a jazz festival that will involve the jazz musicians in the country in Benteng Fort Rotterdam 1-2 later in August is intended to introduce to the international world. Chairman of the committee as well as the presentation, Hendra Sinadia, in a press meet in Benteng Fort Rotterdam, Makassar, Friday (31 / 7), say, a jazz festival event was first held this is one of the efforts to introduce the egotism to the outside world. "Jazz festival of this kind we have made a campaign tool in the international world, hopefully, what we are trying can provide benefits to Makassar, including tourism can create more developed in the future," he said. Head of Culture and Tourism Office in Makassar City, Edy Kosasih Parawangsa said every good performance with the aim of course is rightly to be supported together, either by society or government. "We of course the government will strongly support the event like this. However, when would that it could be sustainable in every year," he said. A number of jazz musicians who will also appear in the meet the press, and among Gilang Ramadan, Zarro, Indra Aziz, Paul T-Five, Willy, Donny Sujono, Ivan, and host of Jazz musicians, Andi Manggara.